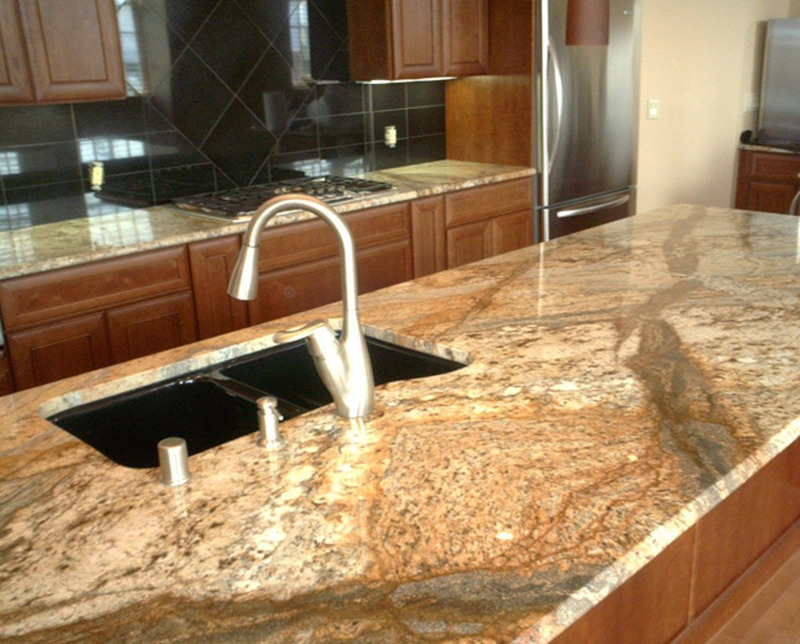 The majority of our granite costs between $ 20 to $ 52 per sq. ft. (excluding fabrication costs). 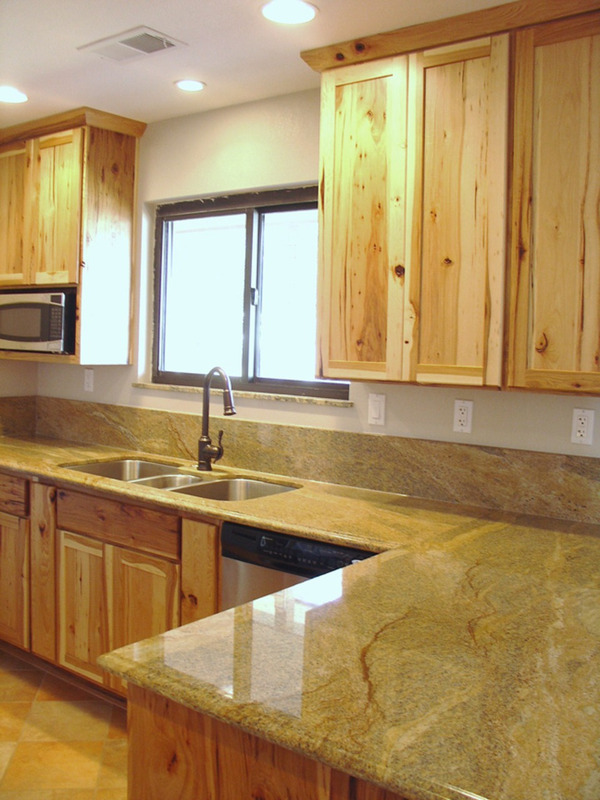 It is important to note that the finished square footage of the countertops is not as relevant to your calculations as is the square footage of material needed TO GET TO THAT POINT! For this reason the pre-cut slabs that we produce are very cost effective as the waste factor is minimal. For example, if your finished counters come to 45 sq. ft., it may only take 50 sq. ft. of our pre-cut slabs to produce them — a waste factor of only 10%. That is considerably better than using traditional slab methods that generally waste up to 33% of the stone — stone you have to buy! 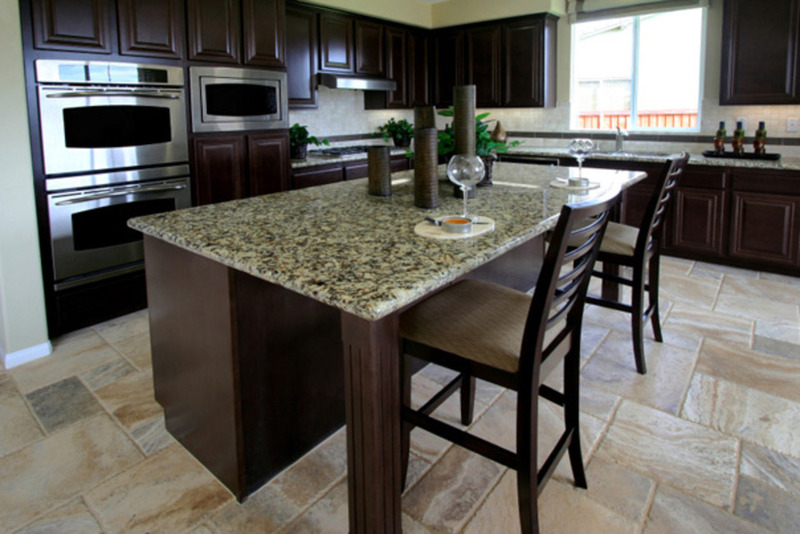 Every kitchen layout is different, so prices for these services depend on the simplicity or complexity of the work. For this reason, we always provide FREE ESTIMATES. The pre-cut and polished slabs you will see in our showroom allow for much faster and less labor-intensive installation, so you will find these costs are much lower than using traditional slabs. 1. Undermount sinks. 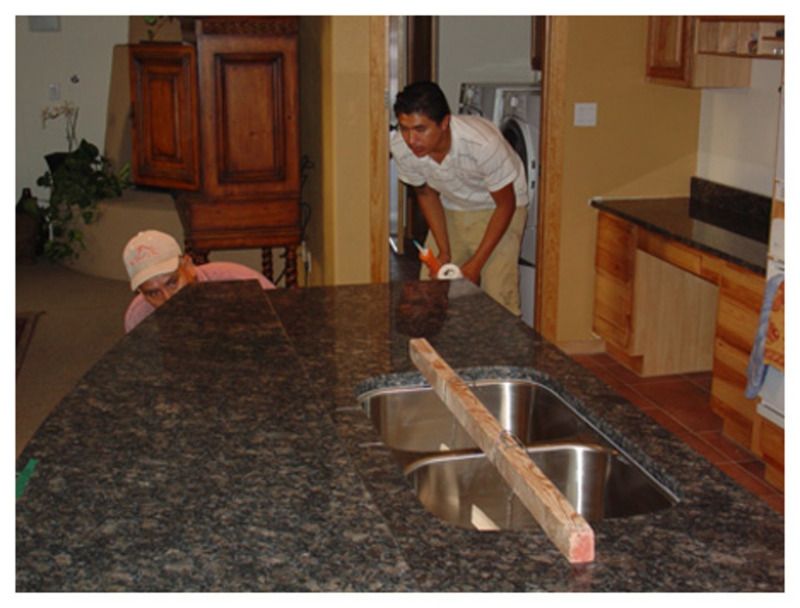 We do not charge to fabricate standard top-mount sink cut-outs. Undermounts are a different story. They require hours of skilled labor to produce, as the cuts must be perfect and the exposed edges beautifully polished. Core holes for the faucets have to drilled through the granite behind the sink cut. To provide all these services we charge $ 200, usually less for bathroom vanities as they tend to be smaller. Included in this price is setting the sink. Allow 24 hours for it to set up before plumbing. 2. Backsplash. 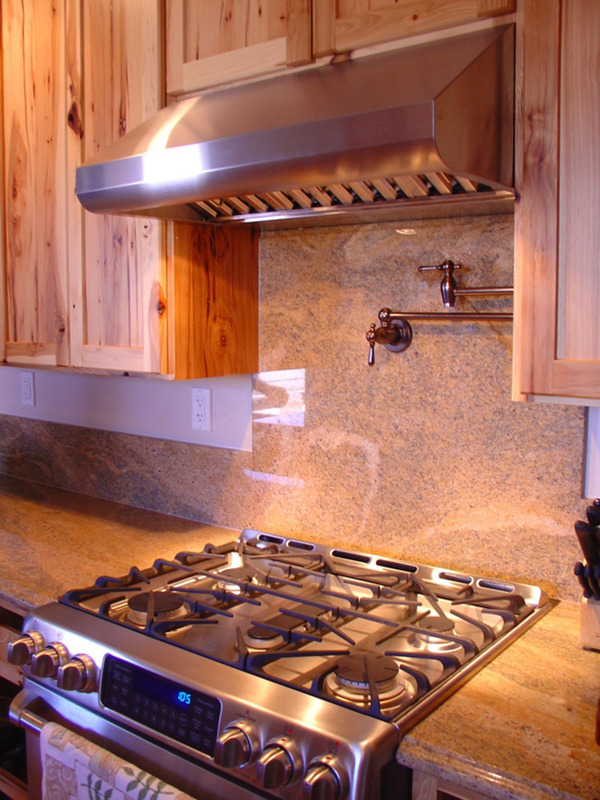 We supply matching 4 inch high backsplash to compliment your granite and to provide a moisture barrier for the wall. This is very cost effective. 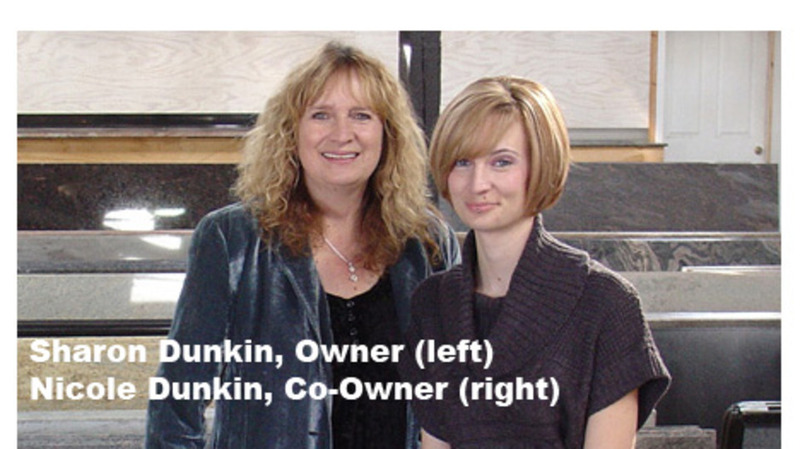 Ask for a separate quote with your free estimate. Tile backsplash is the usual alternative and generally prices are similar once the costs of tile, thinset, sealant, grout and installation are calculated. If your idea of fun is cleaning grout on a daily basis, then you dont need a granite backsplash. 3. Removal of existing tops. 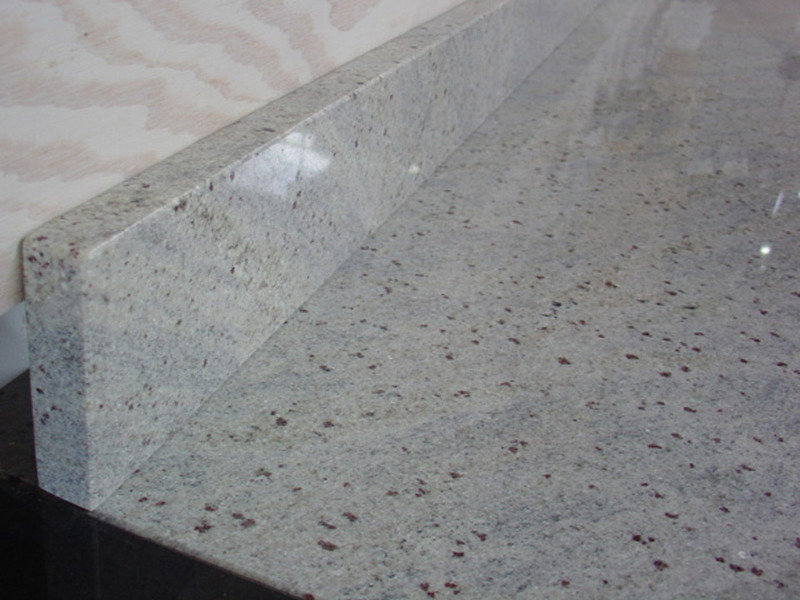 We do not charge to remove old Formica, laminate or Corian tops. Tile tops can be hard to remove. We do charge to remove them and will quote on a case by case basis.